Not everyone here at One Ash agrees with me, but I love our Guinea Fowl! They are unique looking, and funny creatures that are some of the best workers we have. It’s a great time of year to find keets in your local feed store or online. Or if you prefer, get some Guinea eggs and incubate them to hatch your own fun loving Guinea Fowl! Guinea Fowl originated in Africa, and were brought into the United States with some of the earliest settlers. Used by some as a meat bird, I find our Guineas to be better workers than they are meat. It is so fun to watch them run around the yard in a flock (sort of like a school of fish!). And they go everywhere- across the road to the next farm, and way out in our neighbors cow pasture. They squawk at things they don’t recognize, and are wonderful watch-birds. Some think they are too loud, but I don’t mind the warnings of something our of the norm. Since having our group of over a dozen Guineas, we have noticed that there are fewer snakes and no ticks. Guineas are known for helping to control both of those less desirable farm inhabitants. I have seen videos where Guineas have surrounded a rattlesnake and then attacked it. To me, that in itself is reason to keep these fowl around the homestead! Our Guineas were hatched and raised here on the farm. I had purchased a few young keets one year, and low and behold the next spring I was presented with a bucket full of eggs when a nest was located in the tall grass. Of course they went straight into the incubator! That was a couple of years ago, and while we have lost one here and there, the majority of this flock is still running around. They perch in the pine trees at night, even during the coldest weather, and eat what they can find. Talk about easy keepers! I will continue to hatch and raise Guineas on our farm and would suggest every homesteader look into the benefits of these unique fowl. 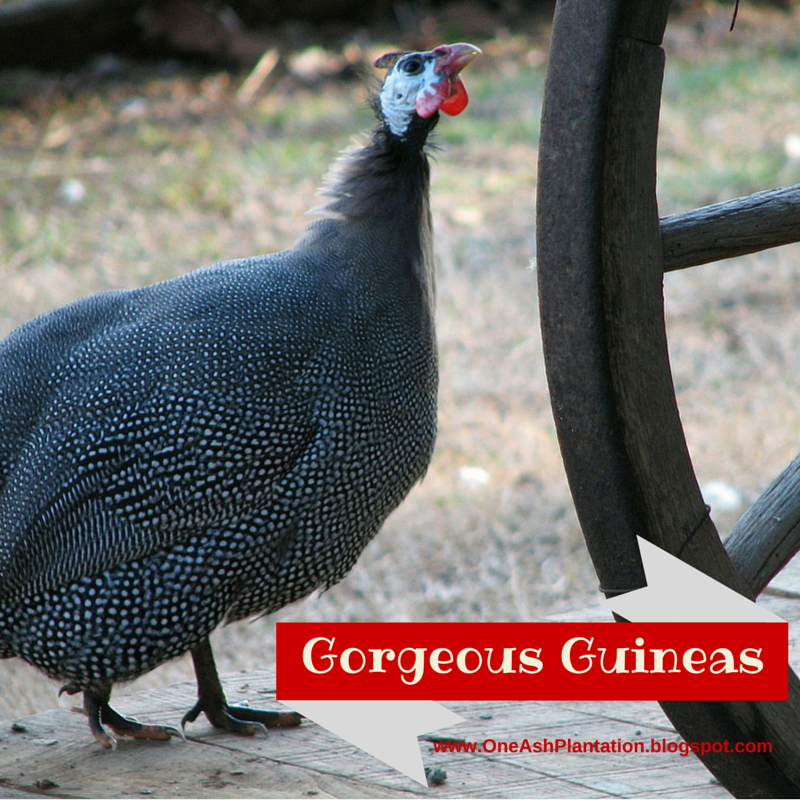 Want to learn more about Guinea Fowl? Here’s a link to some great reading – click HERE to read more about Guinea Fowl! ~this post contains Amazon Affiliate links- if you make a purchase through these links, we earn a tiny commission that helps fund our blog. We thank you!